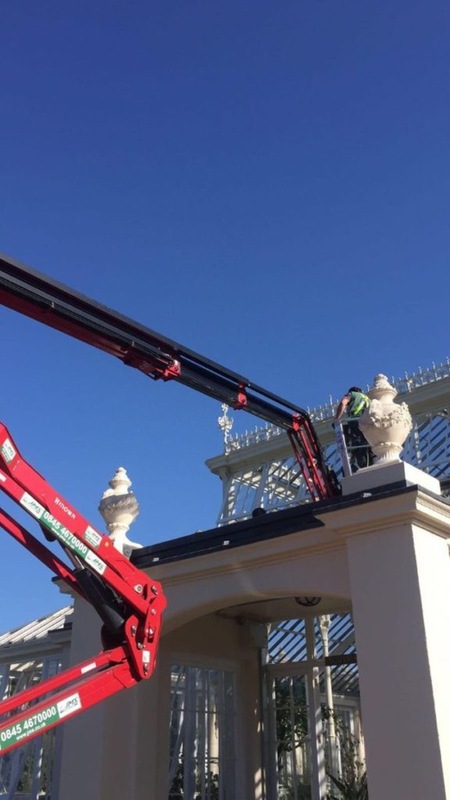 JMS has supplied and operated spider lifts for contractors restoring glass in the world-famous Temperate House at Kew Gardens. 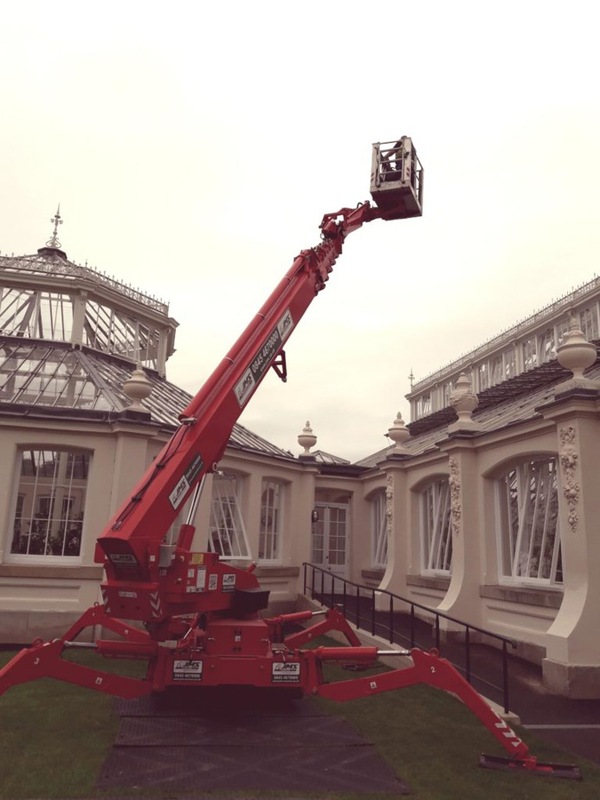 A Hinowa lithium electric spider lift and a Teupen Leo36T diesel spider lift were both needed to carry out the delicate work of replacing glass in the glass house which is home to some of the world’s rarest plants. JMS powered access platform operator Tim Barlow controlled each machine while carrying the glass restoration contractor, tools, and materials to the work site. He said: “We’re very pleased to be supporting the restoration of building that’s so important to both science and the nation’s architectural heritage. “For projects like this, we need to deliver a very responsive service. We must be on site ready to go exactly when and where we’re needed with precisely the right spider lift. Aerial platforms play a crucial role in maintaining such fragile structures, not least because latest health and safety regulations and standards prevent people from standing on them. 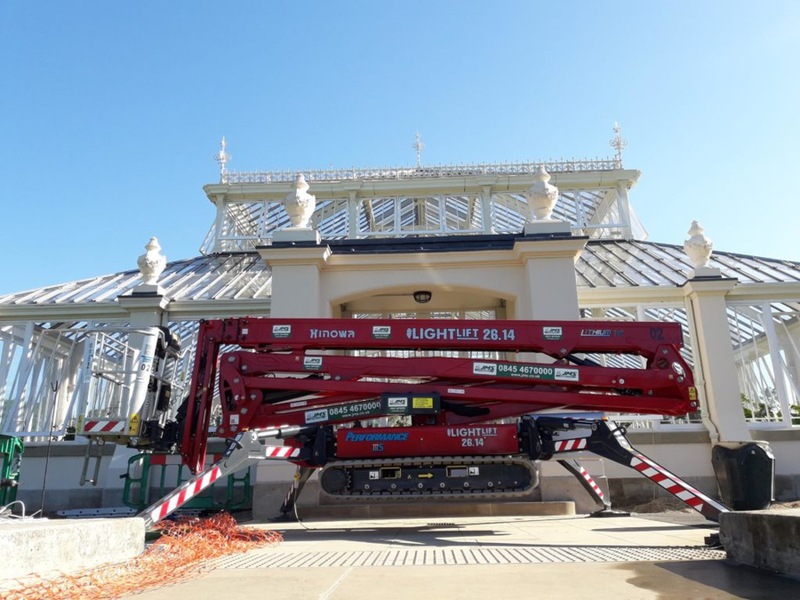 The up and over reach of the two JMS spider boom supplied meant the glass installation contractors could be taken to the precise point they needed to work in the centre of the glass house. The Temperate House in the Royal Botanic Gardens at Kew, West London, opened in 1863 and is the largest Victorian glasshouse in the world. The glass restoration work is part of an on-going five-year restoration project. The glass house had been closed temporarily and was reopened to the public in May 2018 by Sir David Attenborough. The glass house frame is made of aluminium, so only lightweight glass can be installed in the structure. The glass breaks so easily that visitors need to be protected from falling shard by a mesh net. As well as supporting the glass pane replacement, JMS tracked spider booms have been used to lift glass to contractors working on scaffolded sections of the structure. 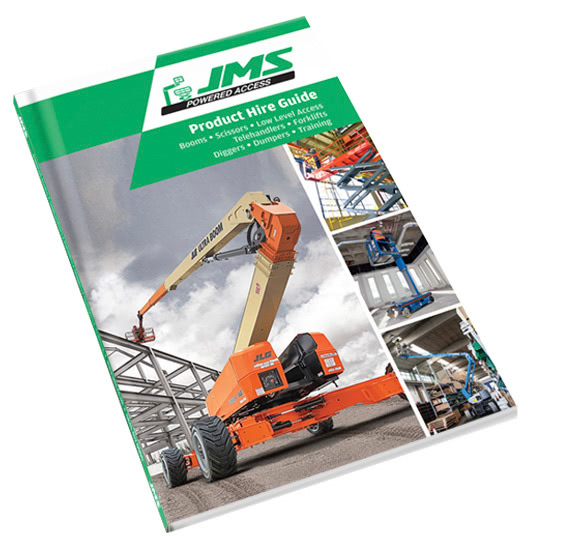 Tracked spider boom hire – talk to a JMS powered access expert today and find out the best option for your project. 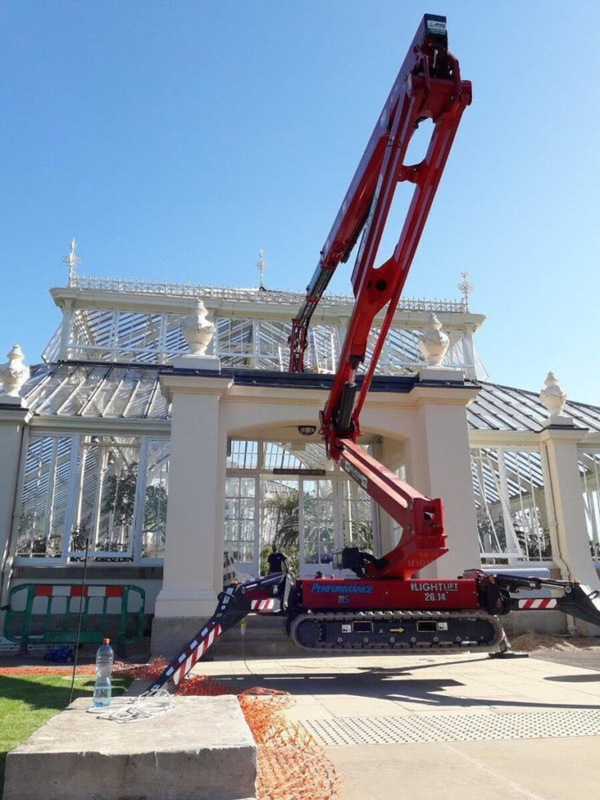 The tracked booms hired for the glass restoration project at Kew were ideal for task, not least because they could travel easily across landscaped areas to reach the worksite. An early start for the JMS tracked boom at the iconic Temperate House, Kew Gardens. The Hinowa Lightlift 26.14 llls electric powered tracked platform has a working height of 25.7m and a maximum outreach of 13.75m and is compact, lightweight and versatile. Its lithium battery is emission-free, quiet, and maintains high power levels for long periods, as well as fast recharge times. The Teupen 36T diesel tracked spider boom has a maximum working height of 35.5m and a maximum outreach of 15.6m. The spider lift has excellent weight distribution and non-marking rubber tracks, enabling it to work on floors with load restrictions and sensitive surfaces.